What is Micro-needling Therapy and What Does It Feel Like? - Doctor Hermann M.D.,P.A. Micro-needling therapy, or collagen induction therapy, is a minimally-invasive non-surgical procedure used effectively for reducing scars caused by acne, chicken pox, injury, surgery, burns, for reducing fine and deep wrinkles, tightening sagging skin, fading stretch marks, correcting dyspigmentation, and overall facial rejuvenation. The procedure involves the use of an electronic, wand-like micro-needling device to create a minor and controlled skin injury which in turn encourages your skin to produce collagen to repair the treated area. The micro-needling device contains a series of very fine, almost hair-thin needles. After your face has been numbed with a topical cream, the MN device is moved across the area(s) requiring treatment. As each fine needle punctures the skin, it creates a channel or micro-wound. The controlled injury triggers the body to fill these micro-wounds by producing new collagen and elastin in the papillary dermis. In addition, new capillaries are formed. This neovascularization and neocollagenesis following treatment leads to reduction of scars and skin rejuvenation, i.e., improved skin texture, firmness and hydration. It also increases the ease of absorption and thereby effectiveness of topical products applied to the skin, such as anti-aging and hyperpigmentation creams. The benefits of micro-needling include the reduced risk of hyperpigmentation and scarring, therefore it is safe for use on all skin types, including ethnic or dark skin. It is suitable for thin, sensitive skin and can be done on areas of skin not suitable for peeling or laser resurfacing, such as near eyes. As opposed to laser and chemical peels, the epidermis remains intact and is not damaged. 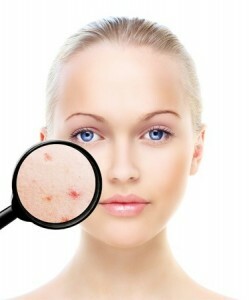 For this reason, micro-needling can be safely repeated if needed. Also, micro-needling treatment does not result in a line of demarcation between treated and untreated skin, as usually occurs with other resurfacing procedures. This allows for specific areas to be treated without the need to “blend” or “feather” at the treatment edges. Another benefit is minimal downtime. Other than not wearing make-up for 24 hours, and possible slight, sunburn-like pinkness/redness that may last for several days, the patient can quickly resume all daily activities. Call Anne Hermann Wellness, MD, PA and make an appointment today for your free consultation. We look forward to working on wellness with you.